Uh-oh. Stuff is hitting the fan in your relationship. Could this be the end? Don't all couples fight? So what's the difference between a healthy fight and one that's apocalyptic? These fights typify probable signs of the end, or what should be the end. It's their first date. The chemistry is through the roof. They share tons of significant, oddball similarities. But... She thinks smoking is disgusting. He's a smoker who claims he's quitting. He's in recovery for alcoholism and can't stand being around social drinking. She relishes an excellent, fine wine with dinner but figures it's no biggie to give it up for someone she loves. Fast forward a few months.... Fights erupt about how they can "help" each other change their habits. Neither feels free to "just be" or act naturally. Resentment accumulates and ultimately grows stronger than the commonalities that would bond them together. 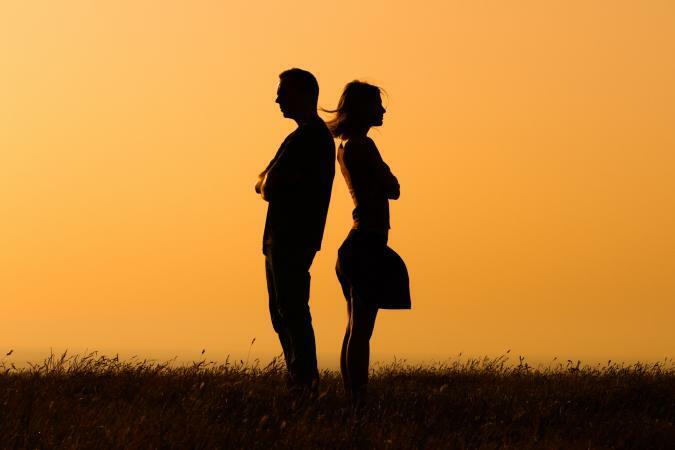 Rachel Dack, MS, LCPC, NCC, explains that it's not a good sign when you start to fixate on how your partner should change instead of looking forward to spending time with them. "It's your turn to clean the bathroom and take out the trash, and you just happen to have a meeting to go to again. Right. You just want me to do your work for you!" When one person takes on a pattern of accusation, it's like they keep pre-deciding that the other is guilty. It puts the accused on the defense. It doesn't invite them into a problem-solving conversation. According to Russell B. Lemle, Ph.D., the accuser's emotions may be causing them to misread their partner's behavior. They'd do better to tell their partner how they're feeling and ask for what they need. The accuser might express exhaustion from "trying and trying" (or nagging and nagging). The accused may feel they can't win. They're likely to cut their losses and call it a day. Denying responsibility for one's actions might keep one's so-called sense of peace intact, but inevitably it causes a raging torrent of stress for the other person. In fact, Personal Development Coach Angela Chernoff calls denying responsibility toxic. Take this conversation, for example: "Hey, check out this prune. It's like your face, only less wrinkly." "Ouch, are you saying I look old?" "I was only kidding. Don't take me so seriously!" Or, this scenario: "I saw you talking to that super ripped guy at the party. It seemed like he was flirting with you. Were you flirting back? "Oh come on. I was just being nice. As if." Denying is lying. Taking responsibility for one's actions, feelings, or motives can reverse a negative cycle. Otherwise, denial will poison and kill the relationship. Did You Seriously Just Cheat on Me...Again? It's not as if it's easy to trust a first-time cheater. The first-time cheating fight won't necessarily flow as smooth as cream. People might yell, throw things, and curse. But there's some hope if the cheater exhibits certain behaviors like cutting off contact with their lover and showing genuine remorse, explains Diana Kirschner, Ph.D.
A second time betrayal though? Come on, now! Not so much. Stephen A. Diamond, Ph.D. advises that being unfaithful twice constitutes a pattern and signals an unwillingness to change. Even if the fight is calm and cool, the second confrontation over cheating implies that the trust is entirely broken, and so's the relationship. You Just Spent How Much? We'd all love to believe that love reigns supreme. And love certainly does reign...as long as two people share a similar financial philosophy and a similar practice with their money. A word to the wise: if fights about money exist in the relationship early on, they're most likely not going to go away. They'll escalate, especially as two lives and two bank accounts come together as one. 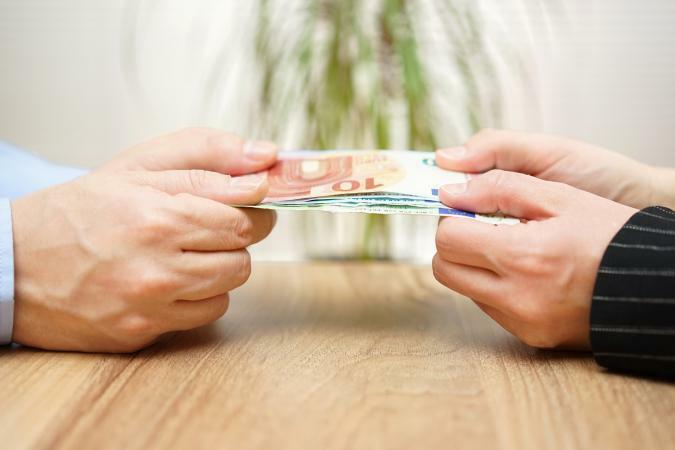 This study examining the relationship between financial issues and divorce confirms the correlation between financial disagreements and divorce. Fights about money often lead to paying the high price of losing the relationship. One partner, now unemployed, decides to spend all their time and energy working on the novel they've always dreamed of writing. The one who's bringing in the income starts implying the other's a deadbeat. Or, one partner gets a management position in a company they believe in. The other complains that they're never at home. When partners don't support each other's dreams and goals, things are bound southward. eHarmony Advice warns how important it is to have "missions that mesh." eHarmony's matching site even includes a section on the profile to describe what you're most passionate about. If one partner expresses hostile resentment, ridicule, extreme annoyance, or shows a lack of support for the other's passions, it could be a fork in the road. Time for each to take a divergent path. Have you heard the expression "going around the mountain again"? It means you just do the same thing over and over without learning your lesson or without resolving the issue. You're like an old LP that keeps playing the same old retro disco beat nonstop. If a couple is having that same fight again, it could be that they're going around the mountain and not learning anything at all. There's a chance, however, that the couple goes over the same issue and does get somewhere each time, as if chipping away at a resolution. 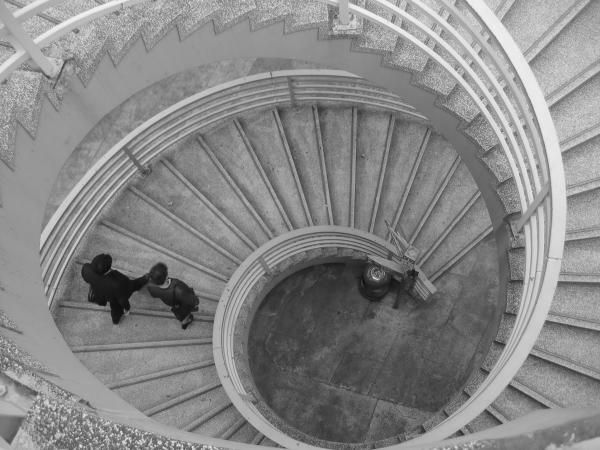 That's more a "climbing the winding staircase" scenario. If neither person engages in self-reflection, agrees to get help, or agrees to seek a win-win solution when that fight comes up again, it's probably time to abandon the mountain and go separate ways, implies Ravid Yosef, Relationship Coach. Once in a while, it's normal for one partner to get overwhelmed and deflect a budding fight. But when it's persistent and repetitive behavior, that person is digging in their heels and refusing to engage in any conflict, preempting resolution. And that's one of the worse fights of all...the one that doesn't happen, says Rhoda Mills Sommer, L.C.S.W, B.C.D, A.C.S.W. There are always exceptions to the rule. Many couples can pull each other out of the mire and back onto solid ground. However, it requires a willingness and capacity on both parts to take a good look at one's own heart and behaviors and commit to make changes toward resolving differences. If not, you can choose to continue walking up the proverbial winding staircase, even if you ascend solo.